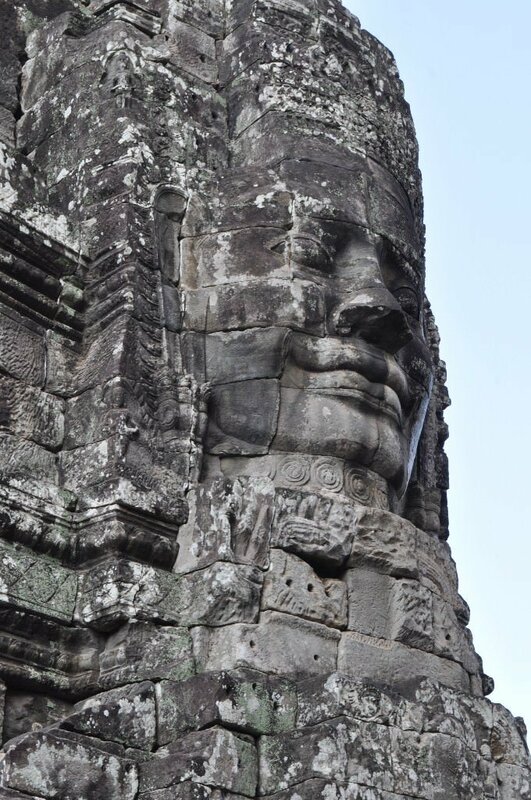 Angkor Thom, The Great City, is another temple complex and is most noticeable for its many towers featuring large faces of Buddha on each side. 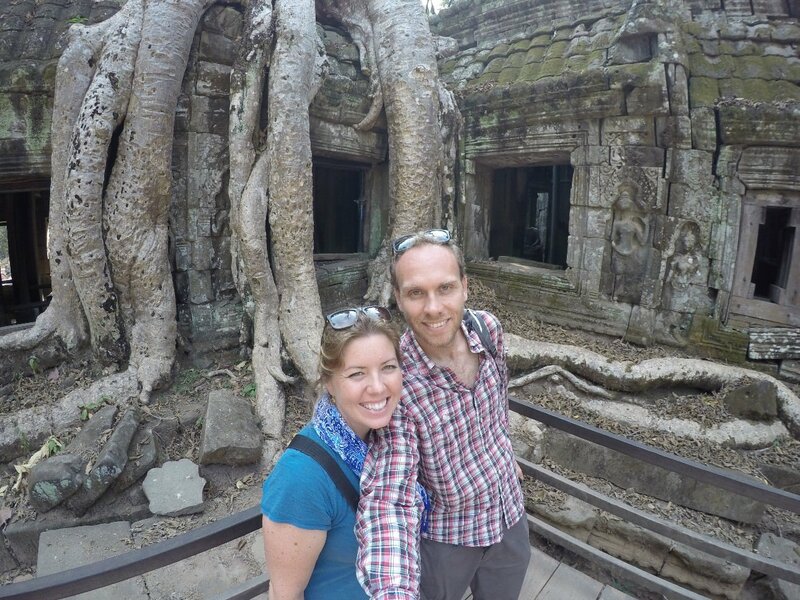 Ta Prohm is my favorite temple out of all the ones we visited at Angkor Wat; If was made famous by the Tomb Raider movie and is really interesting to explore and see all the trees growing over the collapsed temple structures. Angkor Wat is a vast temple complex in Cambodia. In fact it is the biggest religious monument in the world. Originally constructed as a Hindu temple is gradually transitioned into a Buddhist temple at the end of the 12 century. 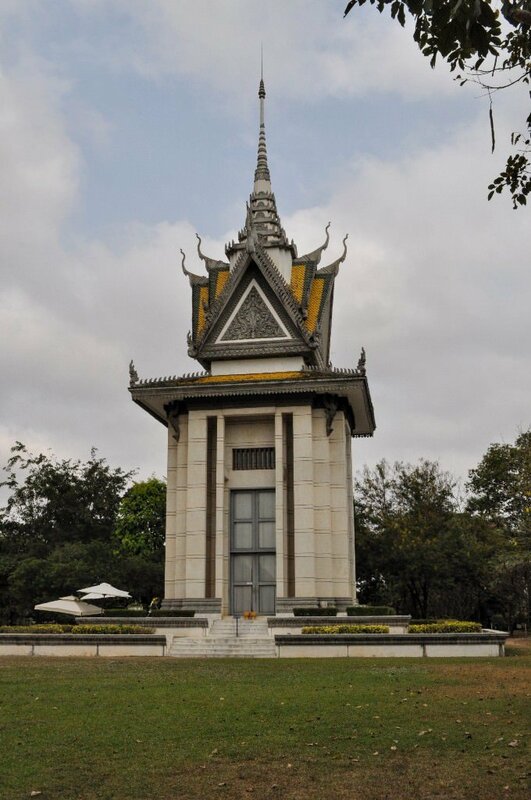 A very sad and emotional day exploring the killing fields and S21 prison to learn about the atrocities committed by the Khmer Rouge regime between 1975 and 1979. 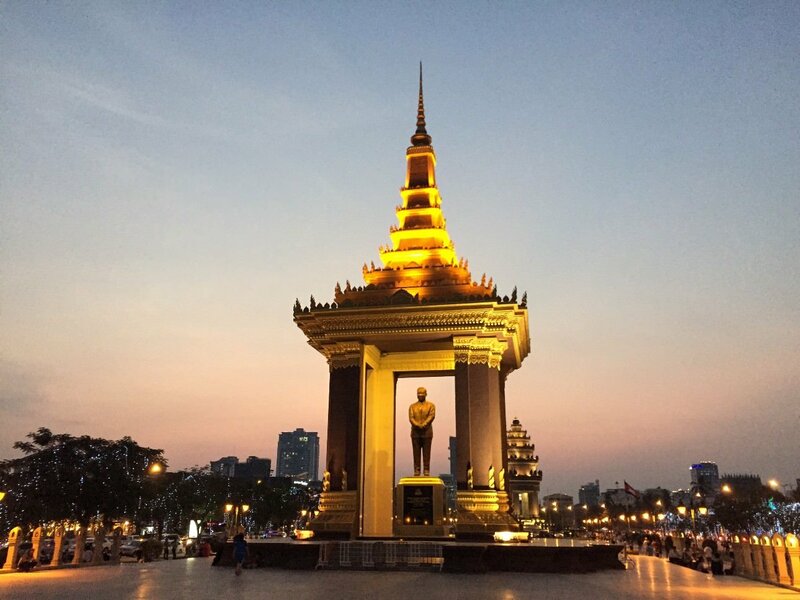 Phnom Penh is the capital of Cambodia located along the Mekong River and one of the nicest French built cities in Indochina. A wide-ranging adventure showcasing the region’s natural wonders and fascinating cultures, this 17-day trip offers a combination of guided excursions and free time to explore beaches, ruins, urban culture, and awe-inspiring landscapes. Cruise the Mekong for a day and overnight on a traditional sailing junk boat in Halong Bay. 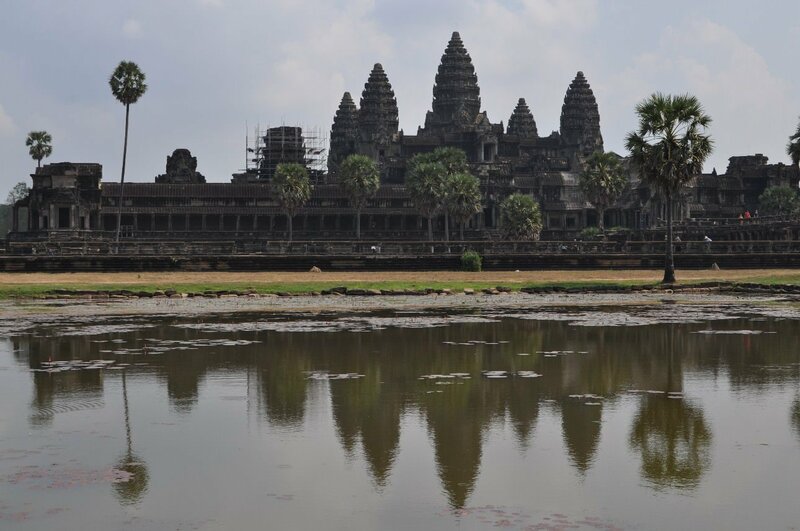 Witness the heights of Cambodia's past at Angkor Wat, and contemplate its lows by walking the infamous Killing Fields. Although many activities are included, there is still plenty of time to explore on your own and create the ultimate adventure.